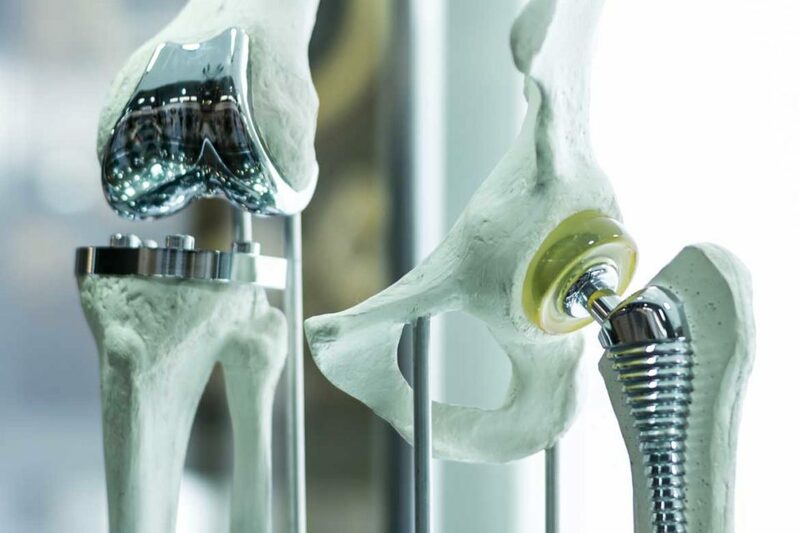 Total Joint Replacement is a surgery where an existing damaged joint is replaced with a prosthetic one, often made of metal, plastic, or ceramic. It is a major surgery which is performed in a hospital or surgery center over several hours, and can require weeks of rehab. Though the two most commonly replaced joints are the hip and knee, this surgery can also replace shoulder, ankle, wrist, and elbow joints. When Should I Consider a Total Joint Replacement Procedure? Often, total joint replacement candidates will feel joint pain doing simple, everyday tasks. After trying less-invasive or sophisticated treatments, like cortisone injections, pain medications, and physical therapy, patients will still find life hard because of their pain. At this point, in collaboration with our orthopedic surgeons, many will opt for joint replacement surgery to try to relieve pain and get their freedom of movement back for the long term. Where Does Joint Pain Come From? The common cause of chronic joint pain is a breakdown of the cartilage in the joint, often called osteoarthritis. A joint in the body is a spot where two bones meet, and in a healthy body, the bones will have cartilage that acts as a cushion between them. When the cartilage is worn down over time by age, overuse, or too much stress on the joint, the bones will begin to rub on each other, resulting in chronic pain whenever the joint is used. Because total joint replacement surgery is a significant operation, it requires careful physical and mental preparation before and after the surgery in order to have the best results. You will work closely with your surgeon in the weeks preceding the surgery to form a plan to make the procedure go smoothly. This can involve changing your diet and exercise habits, which can both lessen the weight on the new joint and strengthen muscles around it. Getting confidence in the new joint can take some time after the operation, but it depends on each individual. Everyone responds differently to surgery. It is entirely natural to feel pain after the procedure – after all, the body has to get used to the new joint and recover from the operation itself. But, your doctor will help you manage the pain throughout the process, with medications as needed. In any case, it is important to follow your doctor’s instructions about using the new joint as much as possible to acclimate your body to the new part. Many who have elected joint replacement have found their quality of life has been significantly improved because of the surgery. It should make life easier, so that you are able to get around with a freer range of motion and without the constant worry of pain.